More and more modern houses are being made with an open floor plan for the living room, complete with a large amount of windows. 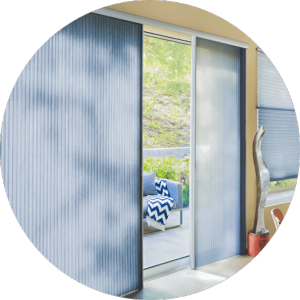 If you have a patio or sliding glass door, the right window treatment will not only enhance the overall look and feel of the room, but also help control the light and heat that comes into it. 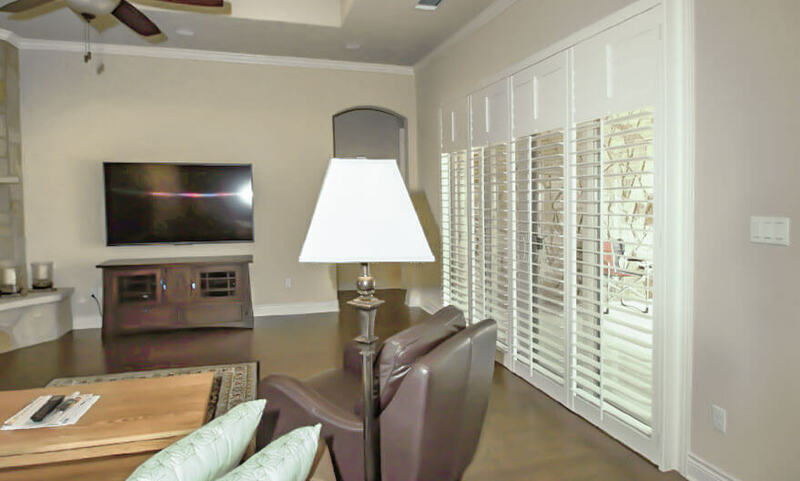 At Southern Shutters Shades and Blinds, we strive to strike the perfect balance between functionality and aesthetics to give you a room that makes you comfortable in every sense of the word. Today, we’re going to tell you how we can provide you a custom-made window treatment for your patio doors in Austin. A classic look that goes with just about any décor, interior plantation shutters are something we take a little more pride in than most. We actually manufacture locally, and install them ourselves, providing you a professional and seamless experience that gives you a superior product. All of our shutters are made of basswood at our facility in Manor, TX. When you choose to have us install your shutters, you get unlimited paint options so we can be sure that they will match your room perfectly. All of our installers are true carpenters, allowing you to experience our top-tier workmanship during the entire process. We can guarantee that we’ll be on time, work quickly, and the only thing that will be left when we leave is the satisfaction that you made the right choice. Your house is very personal, so we take it seriously when you allow us to help you make it a home. 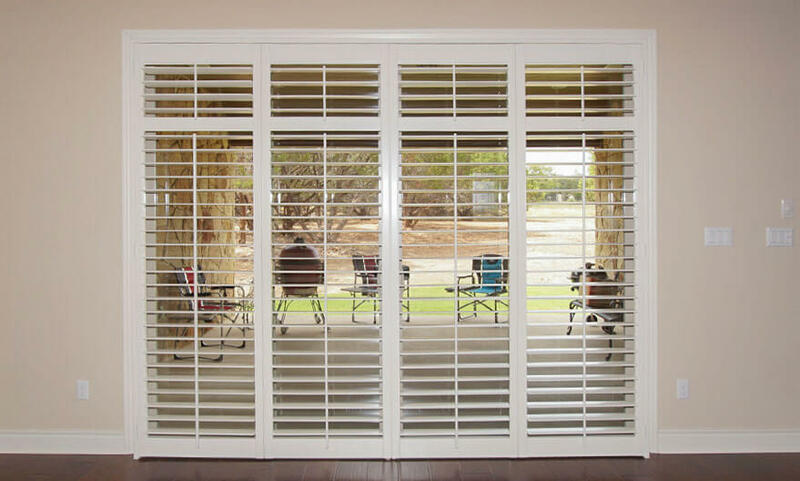 We can fit our shutters to just about any configuration you want. You can choose from two wide panels, or a four panel bi-fold configuration. We can use as many panels as needed to cover any expanse of windows, all securely and easily supported by a vertical support called a mullion. You can choose between 2 ½ “, 3 ½”, or 4 ½” louvers to maximize your view. We’ll suggest what we think will work best, but the ultimate decision is always up to you. Of course, we also offer a variety of tried and true Hunter Douglas products. 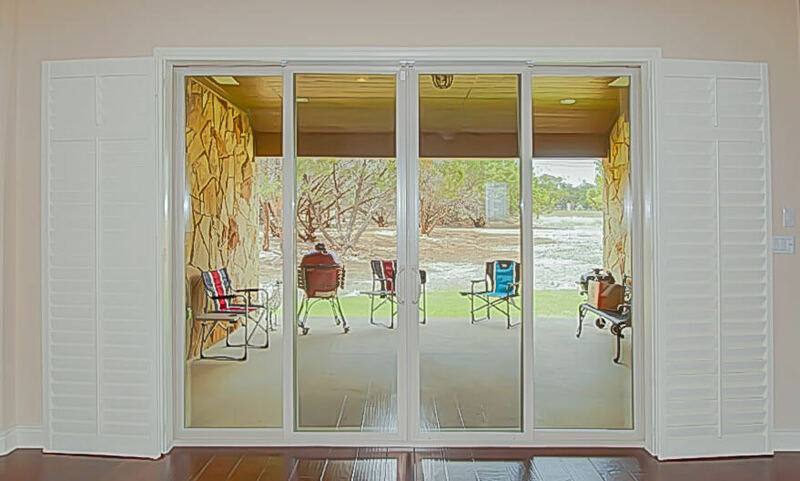 While just about any of their products can be applied to your patio or sliding glass door, certain ones are better suited to the job than others. Vertiglide™ shades work easily with no cords, chains, or wands, all the while providing extra insulation from both heat and cold. They come in an endless variety of colors. 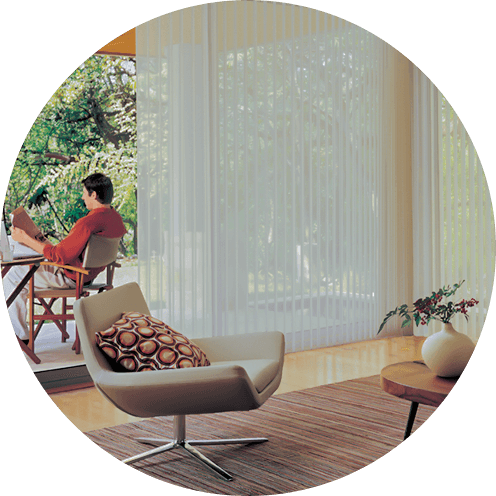 Luminette® Privacy Sheers provide a classic and elegant look using 180-degree rotating vertical fabric vanes. They help give you complete control of the ambiance of your room. Skyline® Gliding Window Panels can give your room a sleeker, more modern feel. 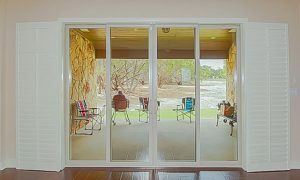 They are an ideal option for large, expansive sliding glass and patio doors. Any number of panels can be installed and easily controlled by attaching them to a slim headrail. 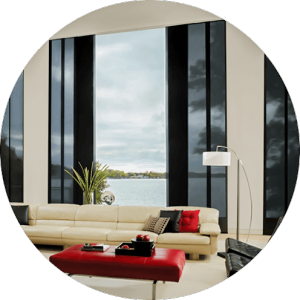 As you can see, while you have an endless amount of choice when it comes to getting a window treatment for your sliding glass doors in Austin, they all have something in common: quality. You’ll feel the quality from the day you call us all the way until we install your brand new window treatment. We’re ready to make your house look and feel better than ever before. Give us a call today and we’ll be more than happy to answer your questions and let you know more about all of our wonderful options.